Four police officers and a protester were killed Thursday in a confrontation in Nicaragua, where violent unrest has left over 260 people dead in three months amid anti-government demonstrations. "Five people died in a confrontation in Morrito, of whom four were police officers and one a protestor," Vilma Nunez, president of the Nicaraguan Center of Human Rights (CENIDH), told AFP. According to initial information, the face-off took place where a march passed near a police command in Morrito, in the Rio San Juan department in southeastern Nicaragua, during a day of demonstrations in the crisis-stricken country called by the opposition Civic Alliance for Justice and Democracy. Movement leader Francisca Ramirez, said the protesters -- some of whom were armed -- were "attacked by agents and paramilitaries," and responded with gunfire. The police have not yet offered their version of events, but have previously accused "criminal gangs" of carrying out murders, robberies and abductions. Morrito, a town of 6,000 people, is home to many farmers who are armed to protect their land. It is located 140 miles (230 kilometers) southwest of the capital Managua, on the route of a proposed intercoastal canal opposed by locals. 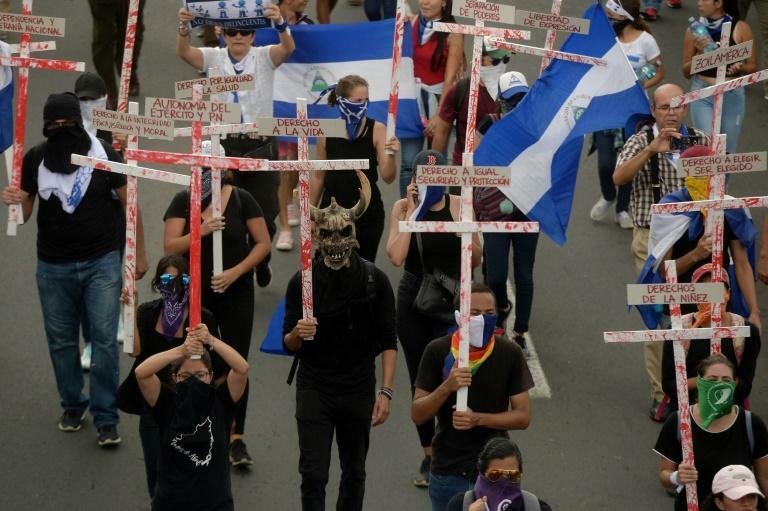 Protests erupted in Nicaragua on April 18, initially against now-scrapped pension reform. However, they have since boiled over into demands for President Daniel Ortega -- a former left-wing guerrilla leader whose second stint in office began in 2007 -- to step down.